The MTR South Island Line officially started operation in Hong Kong on 28 December 2016. The 7-km line comprises four new stations and an expanded interchange at Admiralty Station. The MTR railway network now covers all 18 districts of Hong Kong. Construction of the South Island Line began in 2011. 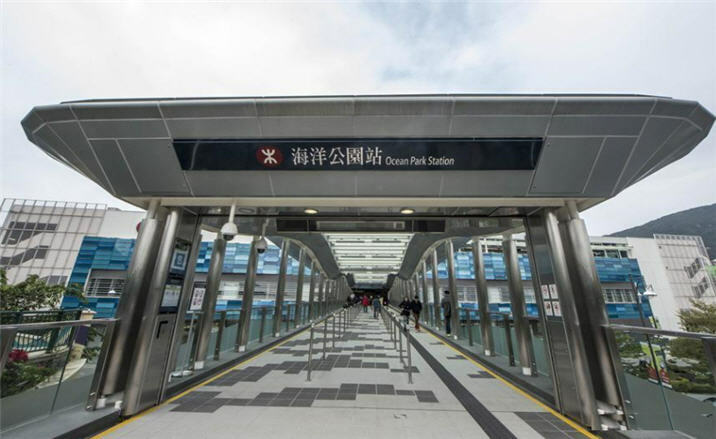 The medium-capacity line extends railway service from Admiralty Station to the south side of Hong Kong Island through tunnel and viaduct sections to serve new stations at Ocean Park, Wong Chuk Hang, Lei Tung and South Horizons. The frequency of train service during peak periods will be approximately 3.5 minutes, while train service during non-peak periods will be approximately 4.5 minutes. The connectivity of the community is also enhanced by the addition of pedestrian facilities such as walkways and footbridges.